Goodwood at Bruern Holiday Cottages in Bruern, near Chipping Norton sleeps 5 people. Bruern Holiday Cottages near Chipping Norton can be found in the heart of the Cotswolds, between Chipping Norton, Stow-on-the-Wold and Burford; Bruern Holiday Cottages offer the comfort and attention to detail of a good hotel, combined with the privacy, independence and space of home, amidst the civilised ease and style of English country house living. Even though the properties (refs UKC1152, UKC1145 [Cope], UKC1146 [Newmarket], UKC1147 [Shipton], UKC1148 [Bookers], UKC1149 [Weir House], UKC1150 [Aintree], UKC1151 [Epsom], UKC1153 [Wychwood], UKC1154 [Sandown]) are self-catering, generous welcome packs are provided, as well as a few little luxuries including champagne, homemade cakes and local artisan cheese. A paradise for children, there are three playgrounds, a play cabin, toy cars and many more facilities to entertain all ages, including a games room. Featured in Tatler’s ‘101 Best Spas’, the facilities on-site provide the perfect setting to relax in, with an indoor heated swimming pool, complete with patio doors opening onto a beautiful Italianate garden, with sun loungers on the terrace. Those eager to keep fit can take advantage of the gym, which includes a running machine, power plate, exercise balls, rowing machine, cross trainer, weights and an exercise bike. Those less keen can relax at the spa and have a treatment (at cost, by arrangement direct with owner). To the right of the courtyard is Goodwood, one of two cottages built originally for the stable grooms. It is warm, inviting and cosy, without being cramped. The front door opens into a little lobby and opposite is the utility room/separate toilet. The kitchen, presided over by a large stuffed trout over the sink, is decorated with tones of pale green. Stairs lead up to the first floor and the drawing/dining room. Opposite the fireplace, a door opens into a trellised passage in the courtyard, with steps leading down to the garden. At one end of the corridor above is the master bedroom, with its handsome mahogany four poster bed. At the other end there is a twin bedroom with two handsome wrought iron beds. In the middle is the single bedroom with a faux bamboo four-poster bed. Goodwood has its own enclosed garden, with a lawn, yew hedges and terrace with garden furniture and barbecue. Surrounded by yellow and cream roses, honeysuckle and lilies, it faces south east towards the entrance of the abbey, which is framed by two enormous copper sycamore trees. Opposite the terrace is a romantic arbour. Property references UKC1144 to UKC1155 can be booked together to accommodate larger groups. The shop is 1½ miles, with the pub and restaurant 3 miles from Bruern Holiday Cottages near Chipping Norton. Kitchen: With electric cooker, fridge/freezer and dishwasher. Utility/cloakroom: With washer/dryer and toilet. 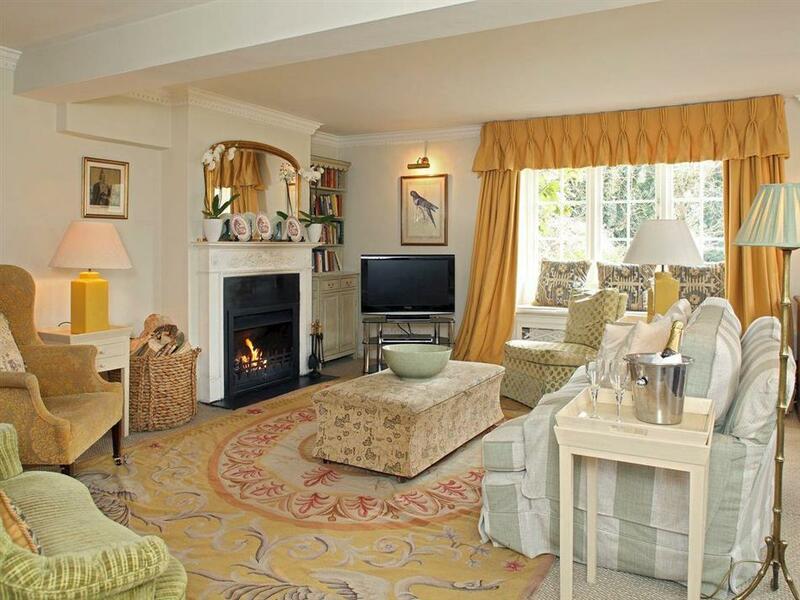 Drawing room: With open fire. Bedroom 1: With four poster double bed and en-suite with shower cubicle and toilet. Bedroom 3: With four poster single bed. Oil central heating, electricity, bed linen, towels and Wi-Fi included. Initial logs for wood burner included. Travel cot, highchair and stairgate available on request. Welcome pack. Games room with pool table, table tennis and table football (shared). Enclosed garden with terrace, garden furniture and barbecue. Bikes of all sizes available by arrangement direct with owner. Children’s play areas (shared). Indoor heated swimming pool with changing facilities (shared). Well-equipped gym (shared). Residents parking (not allocated). No smoking. VisitEngland Gold Award. Please note: There are 5 steps to the garden. For a better idea of where Bruern Holiday Cottages - Goodwood is, you can see Bruern Holiday Cottages - Goodwood on the map below. 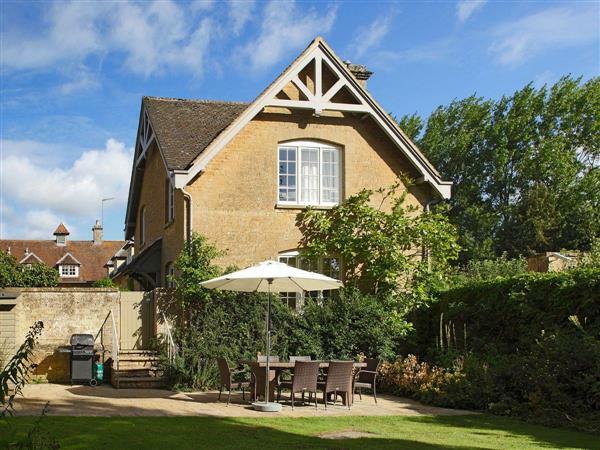 Bruern Holiday Cottages - Goodwood is in Oxfordshire; should you be on the lookout for a special offer, you can find all the special offers in Oxfordshire. It's always worth checking to see what is on offer at the moment. Do you want to holiday near Bruern Holiday Cottages - Goodwood (UKC1152), you can see other cottages within 25 miles of Bruern Holiday Cottages - Goodwood; have a look to find your perfect holiday location.